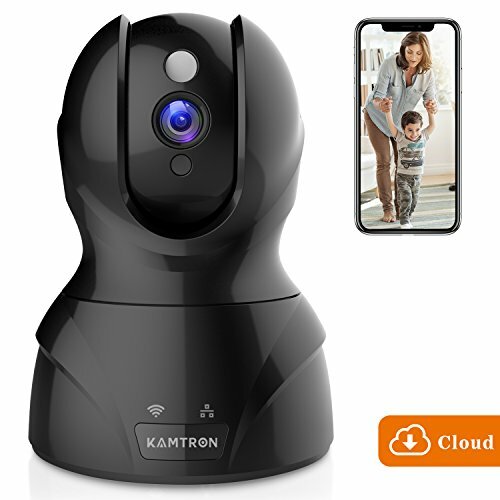 Video Secure Meet Financial Encryption Standard - KAMTRON security camera adopt financial encryption, ensure information between user and site/servers cannot be read or forged by any third party, all your videos are encrypted beford being uploaded to the cloud, preventing critical data being lost or tampered with . Easy and quick Wireless Connection - Scan QR code to download MIPC view app on app store or google play, connect with 2.4GHz WiFi or ethernet cable connection with router for this wireless camera, and you can not only set several preset position in each camera,but also add several cameras in different terminals for this IP camera. If you have any questions about this product by KAMTRON, contact us by completing and submitting the form below. If you are looking for a specif part number, please include it with your message.